Sooner or later, successful entrepreneurs all come to a crossroads and are confronted with a choice—the most important one that they, or you, will ever face in business. It’s the choice about how fast you want your company to grow and how big you want it to get. No one will prepare you for it. There will be no announcement that the moment has arrived when you absolutely must make it. You won’t hear about it from your banker, your lawyer, your accountant, or whomever else you turn to for business advice. They, along with everyone else, will be encouraging you to grow as fast and as much as you can. You can’t even count on your friends and family—those who really do have your best interests at heart—to point out that you might find more happiness by choosing not to grow as fast as possible. Like most people, they assume that getting big is the whole idea. But, in fact, the whole idea is to build a great company, and bigness and greatness are not the same thing. 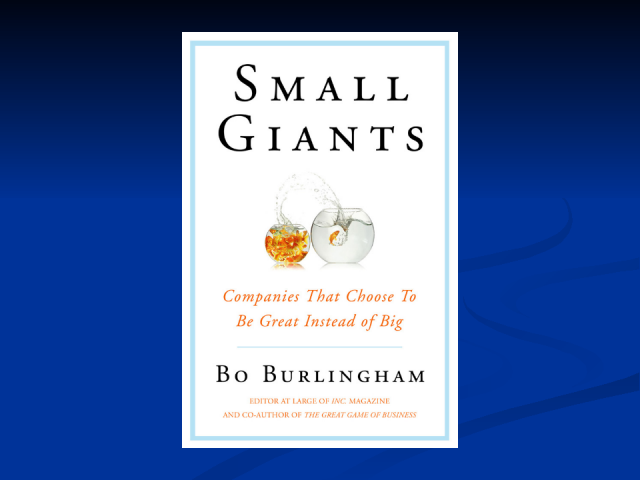 • What are the differences between operating on “human scale” and “financial scale,” and how to decide what’s right for you.